 Major Mark Isen, last seen in The Common Defense (1992), is reassigned to the 3rd Battalion of the United States Army's 75th Infantry Regiment (the Rangers) for a routine training exercise that becomes the real thing. The Rangers parachute into the German countryside expecting to rendezvous with the Bundeswehr but instead encounter hostile, fully armed members of the German People's Union--a collection of ultra- right-wing zealots and unwitting weekend reservists. The Americans hold rifles filled with blank ammunition. The book is the story of the ensuing battle, in which the superiorly trained Americans make quick decisions and discover the warriors within themselves. 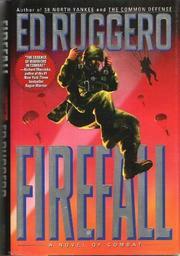 Some characters are memorable, such as the soft-spoken Ranger Tim Brennan and the unprincipled German reservist Paul Gedern, but the reader should be warned not to become too attached to any one of them, because a character might disappear into the forest or smoke and may never be mentioned in the book again. Although the lack of resolution may be unsatisfying to some, the story's style is thrilling for those who long to plunge themselves into the thick of battle, where there is little time for contemplation. Ruggero has avoided the detailed military language that has plagued his previous books. This fast-paced tale provides the sense of battle but not of war; the setting is field and forest, with little attention paid to geopolitical consequences. But who cares? When a soldier is forced to fight with inadequate ammunition and provisions, he's not thinking about world order; he's thinking about his buddies, his wet undershirt, and the Germans behind the trees. A rapidly unfolding tale of combat for the living-room soldier.